The historic factory in Northampton, England provides the backdrop to the new Church’s AW2018 advertising campaign. The brand opened the doors of its early twentieth-century building on St James Street, where Church’s collections are still produced today, following the oldest handcrafted shoemaking traditions, captured by the photography duo Scandebergs. The two young talents, wander around the workshops of the factory, following the same stages of craftsmanship that each pair of Church’s shoes undergoes before they arrive in the shop, from the leather cutting room to applying the final finishes and polishing. 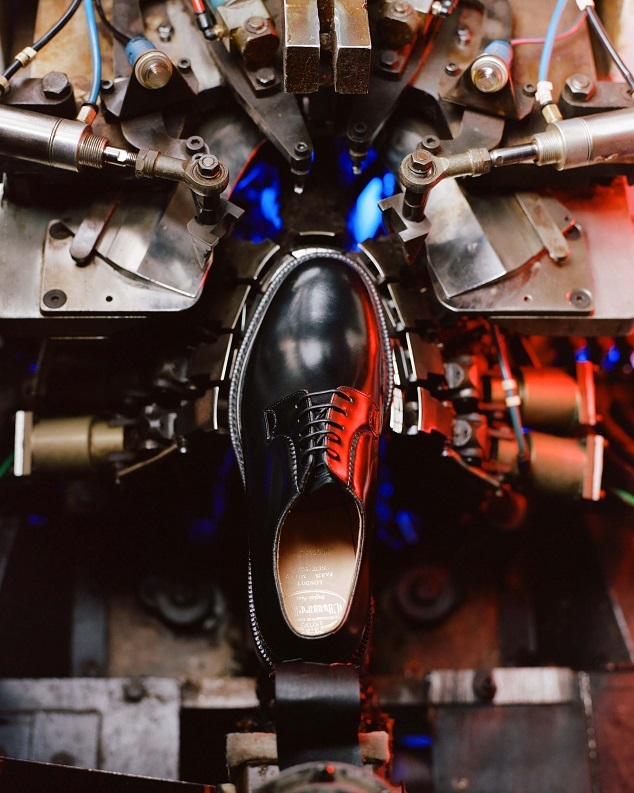 The machines seems to bring the shoes to life, and the images show how craftsmanship and tradition go hand-in-hand with cutting-edge, contemporary design. The portraits showcase the brand’s English identity and history that goes back over 140 years. Industrial scenes and details reflect the essence of the product and of traditional English shoemaking, in the places that give rise to the excellence of Church’s footwear.